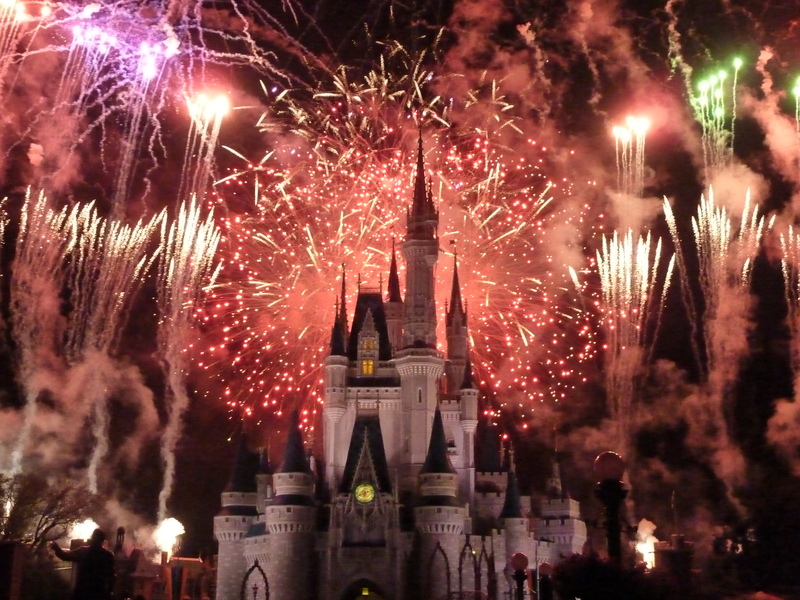 Working for the Mouse at Walt Disney World is very demanding, with some weeks working until midnight 5 days in a row. I am currently based at Disney’s Contemporary Resort, and honestly I couldn’t ask for a better group of fellow Cast Members. everyone is extremely friendly and down to Earth. It makes the long hours a whole lot easier when you love your job, love who you work with and love your guests. The guests are incredibly enthusiastic – I mean who wouldn’t be when you are on vacation at The Happiest Place on Earth?! And the smiles and laughter and happiness of the young children I serve are most contagious! One cannot help but to smile back, and to join in their experience. It’s all part of the great Disney show and it’s certainly an uplifting feeling! You really feel a part of the magic. Outside of work, there are plenty of perks to enjoy. I take advantage of my lunch breaks by the Cinderella Castle on Main Street, eating a sandwich while a band plays or the Dream Along with Mickey show performs. On my days off I have the option to tour the various parks at my leisure, and the weather here in Florida is sensational! I have taken up a class called Creativity and Innovation, which goes for 4 hours every Tuesday. The class is great, and we really exercise our creative muscles when discussing new and innovative ideas and processes. It compliments my previous study in game design (through further education) while also tinkering with my interest in Disney Imagineering. I promise to continue posting updates from now on about this incredible new stage in my life. The journey has just begun!